I joined the United States Navy within a few months after high school. At the time, I didn't have any real goals for the future. I knew that I wanted SOMETHING, and that it included college, but wasn't sure what. I also knew college was quickly looking like an impossibility for me because of the fact that I was on my own and simply couldn't afford it. Furthermore, the path I was on - working third shift at a printing press - didn't feel "right". I was miserable, and I felt trapped. Growing up, I had never really thought seriously about joining the military, even though my dad had served in the Army, as had his father, and my mother's father and brother both served in the Navy (both retired from service). So military service was a clear and present part of my family's life, but it didn't seem like something I was going to do. Then one day I happened to drive past a Navy recruiter's office while passing through a nearby town, and for some reason I still don't understand, I turned in. The next day I was on my way to a MEPS station, took the oath later that afternoon, and two weeks after that I was on a plane headed for basic training. My life was to be forever changed. Joining the Navy was one of the single best decisions of my life. Experiences and friendships I gained during my 5 years of service remain with me to this day. It truly was a defining part of who I've become in life. But besides my time in the service, my wedding, the birth of my children, and a handful of other events, there's another defining event in my life that occurred about 5 years after I left the Navy. I became a franchisee. I was a programmer, still young and thinking I could do anything if I worked just a little harder - found a little more time to squeeze a few more things into the schedule. And if that happened to include running a franchise in the publishing industry, which had little to do with my experience up unto that point, I would make it happen! After all, I knew how to work, I knew how to sacrifice, and I knew how to discipline myself. I also knew a lot of people who were hugely successful with this particular opportunity, so I wanted "in". Well, guess what... things didn't quite go the way I thought they would, and it didn't end well for me. Looking back, I'm happy for the experience because it, too, shaped who I am today. But there was a lot of hardship for me during that time as that endeavor eventually failed, and it affected my marriage, my finances, and my self-esteem for several years after. There's so many lessons I learned - not only about franchising and running a business - but also about myself as a result of that experience. I was letting the success of others push me in a direction even though the fit wasn't right; the needs required for that particular business weren't in alignment with my skills and my attributes, both personally and professionally, or they simply drained me leaving little left for other areas of my life. In addition, I wasn't financially prepared for it all. But there I was - young and confident, having done little research, heeding few warnings, and going with "my gut" even though there were plenty of red flags that the individual franchise I was getting into wasn't a good fit for me personally. Is a Particular Franchise The Right Fit for You? This is a crucial consideration no matter the franchise opportunity: It must be a good fit for you, not someone else. With over 15 years in the franchising industry in capacities other than a franchisee, I now more than ever believe in franchising and think its a great opportunity for anyone, let alone veterans. There's no doubt in my mind that franchising is a solid plan for a vet looking to start their own business. But you need to examine not only the franchise opportunity you have your eye on, but yourself as well as how it would relate to the requirements of an owner of that particular franchise. 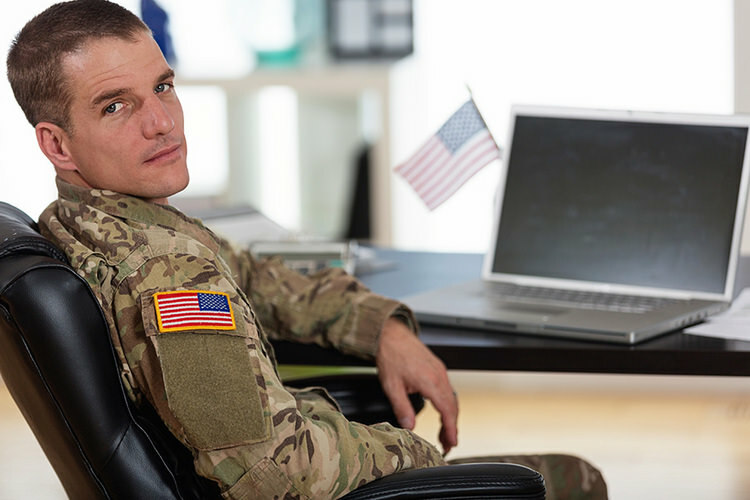 So as a military vet, a former IT Director for a national franchise, and a former franchisee, and now as a member of a company that helps connect people with franchise opportunities, I wanted to share what I feel are the most important things for my fellow veterans and their spouses to consider or ask themselves when looking to start a new phase of life through franchising. Looking back on your career in the military, what areas did you excel in? Managing or motivating troops? Training? Perhaps it was organizing records or programs? Look beyond the standard, "I drove a tank", "I was infantry" - even the most "military" sounding jobs had more to it than the obvious. You helped motivate, or manage, or train, or support, or organize, or plan.... There were parts of the job, however small, where you shined: identify those! The same is true for military spouses, whether you had a career of your own or whether you were a stay-at-home parent. 2. Does It Energize You or Does It Drain You? Believe it or not, just because you're good (or even gifted) at something doesn't necessarily mean it's what you're meant to do. For example, I can network, teach, motivate and give presentations wonderfully. It's not arrogant of me to say this; I know it to be true. It was also part of my job in the Navy. However, IT EXHAUSTS ME. It literally drains me to the point where I'm not good for much of anything else after a few sessions. And I have friends who are exceptionally good at various things, but it actually steals more from them then it benefits them. You should really take a personal inventory of how you feel after you do that in which you're gifted. If you get joy and energy from it, then that's indeed your sweet spot! But if you don't, well, maybe that's not really where you should be long term! 3. What Stage of Life Are You At? Are you married? Starting a family? Do you have toddlers? Are your kids out of the house? Do you have kids? Marriage and a family are wonderful - I highly recommend it! But knowing where you're at in life, and what's needed as a result is critical! In my case, my wife and I had been married for 4 years. We also happened to have an 11 month old with another on the way (insert shock and gasps here). Yep, my poor wife had a handful. In my case, I was so busy I was leaving her alone to work through not only being a new parent, but being a new parent while expecting another. It's one of my biggest regrets in life. I have very few memories of my kids during these early years. Oh, I was there for a lot of it, but I was distracted, stressed, burned out, tired, and frustrated. My wife and kids deserved more. Even though my plans and my efforts were "for them", those plans and efforts robbed them of what they needed most at that time, and it was my job to see that. Fortunately for me, my wife is awesome and my short-sightedness didn't completely wreck things, though it cast a shadow over that period of time that I can never un-do. Maybe you've saved all of your hazardous duty pay and have a pretty nice nest egg. Perhaps you were smart when you were younger, saving away much of your pay while living on base and keep your expenses low (man, if I could do that over again...) Or maybe you have really nice retirement from your, or your spouse's, 20-plus years of service. Whatever it is, and whatever your credit worthiness is at the present time, you need to understand what you have available to use toward the investment, and operation, of a franchise. Franchises vary in their cost, of course. So you need to make sure you understand that. But you also need to consider how long it may take you to become profitable, and therefore how long you may have to "float" your business. Ask the tough questions when speaking with a company about purchasing a franchise, and consider speaking to a financial advisor, as well. Please don't make any assumptions in this area. If you've narrowed down the list of opportunities, ask them for a list of franchisees you might be able to speak with. Or better yet, do your own research and find some on your own. Ask them for a few minutes of their time, and then ask them honestly about their experiences, their challenges, and their outlook on the business. Have your questions ready in advance to make the most of their time, and then consider their responses seriously. There are so many things to consider when starting down the path to franchising - so many questions to ask, and so many things to know. The five items laid out above are my own suggestions from experience, as a veteran with a "gung-ho" attitude who failed to consider some of these points specifically. But franchising does indeed work for veterans and civilians alike, especially when you do your homework. Here at Franchise Gator, we have a lot of information that can help you better understand franchising and considerations. Also, resources like VetFran's toolkit are specifically designed to aid YOU, the veteran, in these kinds of decisions so you can make the right one.